The iStill Masher can mash up to 2000 liters. 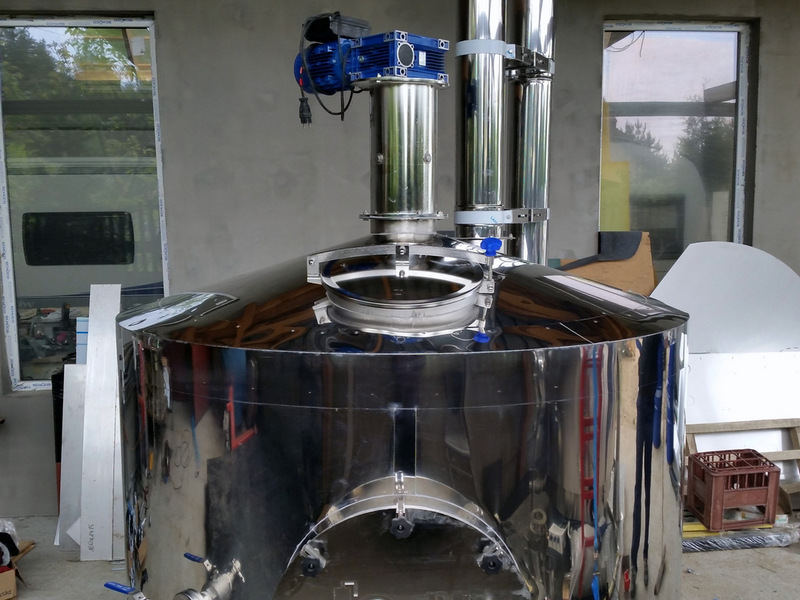 It has a double boiler and agitator, and is heated via natural gas and cooled by water. It supports cooking as well as single infusion and step-up mashing. Here’s more information on how the programming helps you to achieve your goals. – How many steps make up your mashing procedure (anything from 1 to 8). That’s 6 steps. Here’s how you can dial the above procedure (an example that can be used for single malt mashing) in. What consequently happens is put between brackets. – Prior to excecuting the now defined procedure, you hit the “start” button and of you go. ← Hands-on Rum Course? Hands-on iStill Course! This looks great, What are your thoughts on why you might want to go this route vs. fermenter mashing or vise versa. I believe you would use a step down mashing via the fermenters but I am wondering what the differences and why you might want to use one vs the other. For some grains you want to cook. You then need the masher, because the iStill Fermenter can keep temperatures at 75 degrees C, but no more. So the Fermenters, with double jacket and electric heating, are good for fermenting and step-down mashing without cooking, where the iStill Masher can do step-up and boiling as well, Pat.